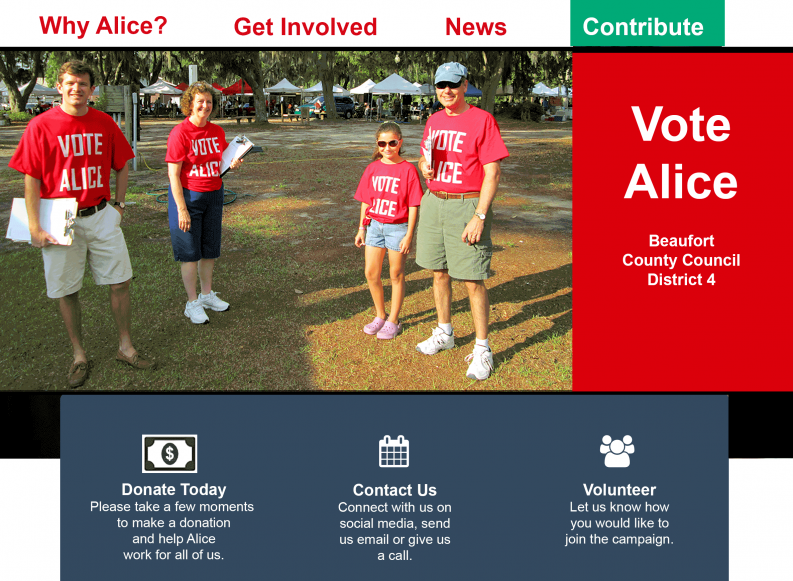 Kathy E Gill | Website/Print/Social – Vote Alice - Educator, WebUX, Writer. Rabble-rouser. 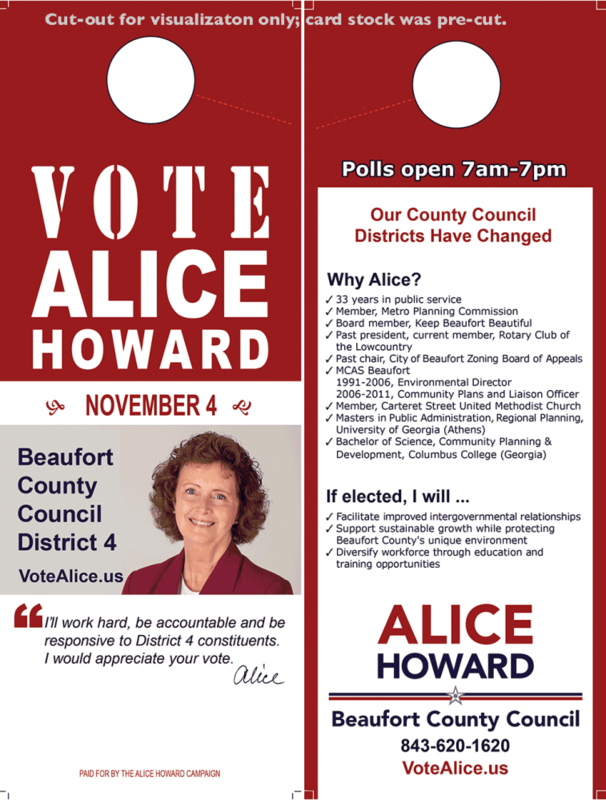 When Alice Howard decided to run for county council in Beaufort County, SC, she turned to me for advice on website design/contents and social media presence. 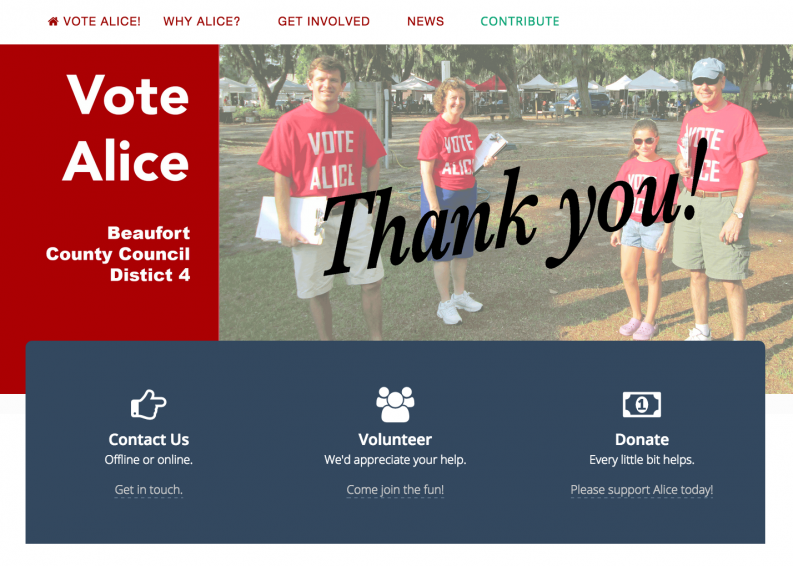 I customized a premium, mobile-friendly WordPress theme because she wanted to de-emphasize fundraising; her goal with the site was campaign awareness, not fundraising. 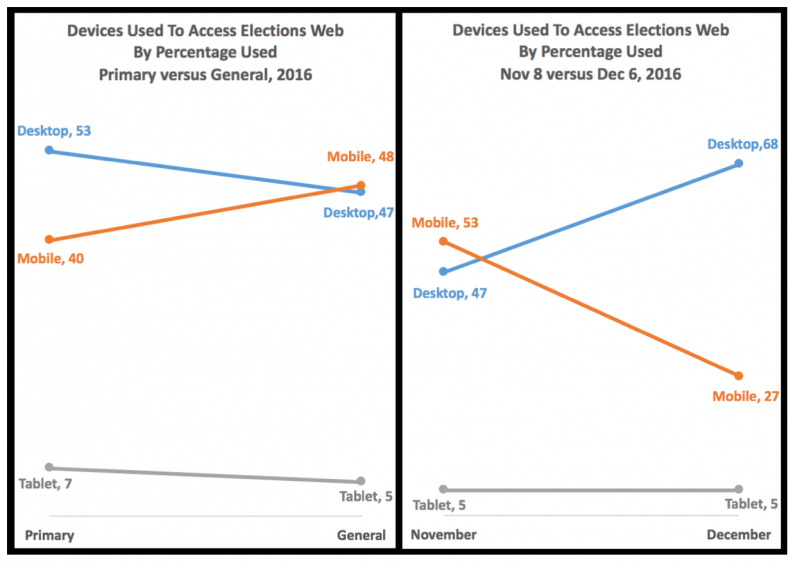 I rewrote copy and optimized images to be web-friendly. I set up her Facebook page and Twitter account and helped manage those accounts as well. In addition, I designed her door hangers, which were an integral part of her walk-the-district campaign, and a campaign logo. 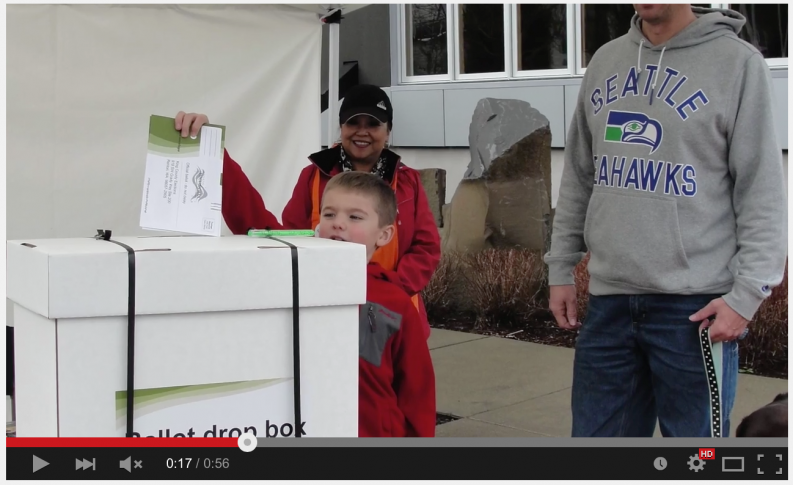 She defeated the incumbent, 60-40, and was sworn in January 2015. 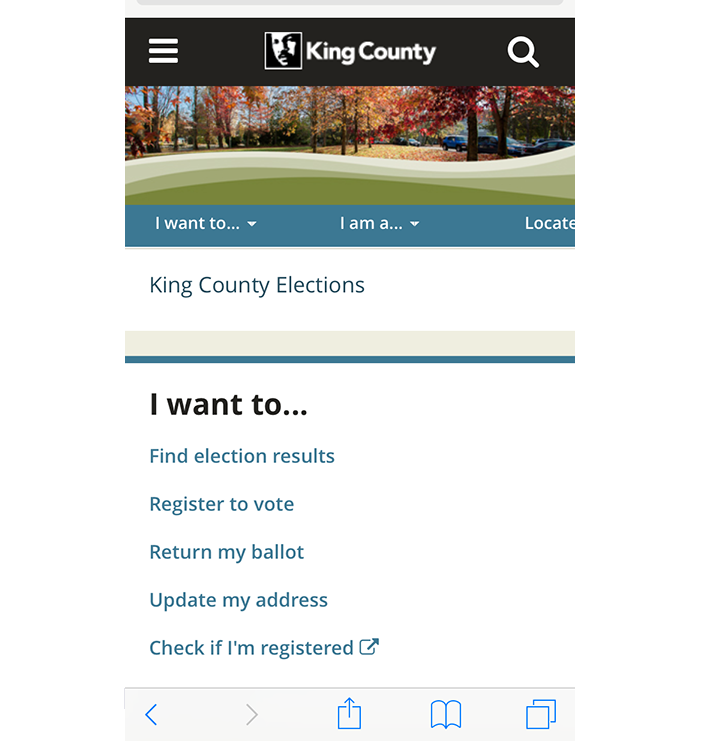 Design mockup - "above the fold"